Mountainstate Orthopedic Associates (MOA) is a leading Orthopedics practice in West Virginia since 1977. In 2013, InnerAction Media engaged with their team to help increase patients and revenue. We worked through our intake process and discovered their key messages and strategic target audience personas. 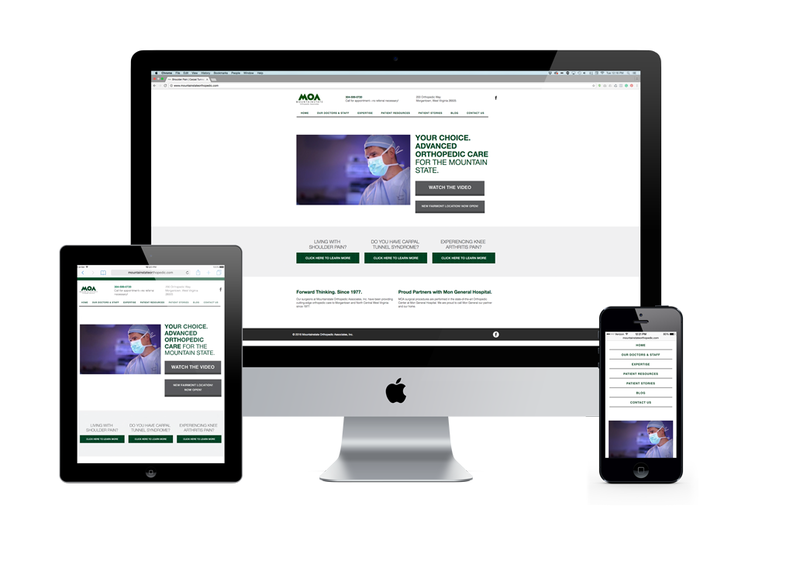 Then, we developed a full-fledged inbound marketing campaign centered around a high-performance website, high-end video production including compelling patient stories (See above) and a strategic content development plan. The results were excellent. Their website continually outperforms their competition in SEO ranking, their published educational content is widely consumed and is engaging with their key target audience on social media, development of a significant email database of quality leads and and their patient volume is at record levels. Learn more about healthcare practice marketing, click here.